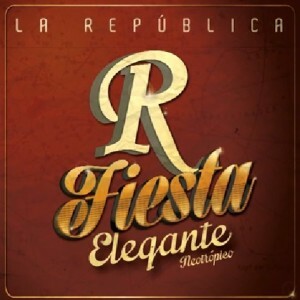 Explosion of Latin taste and enjoyment is what Banda La República brings us with his new album “Fiesta Elegante”. Led by the brilliant composer, arranger and pianist Juancho Valencia, this work is the sound of many lands and regions including the Caribbean coast, Colombian Pacific zone, Cuba, Africa and includes rhythms like rock, funk and hip-hop beats. Personality and character are what La República shows with this album comprised of ten pieces, eight of them, originally composed by Mr. Valencia. La República band was created in 2005 after musical experimentation by its members, creating a particular, unique sound that they called neotrópico. The name of this “genre” was the title of his first album, released in 2008. Neotrópico was the beginning of an incredible, musical adventure which has given this band the mastery to put together their own style, hard to forget. 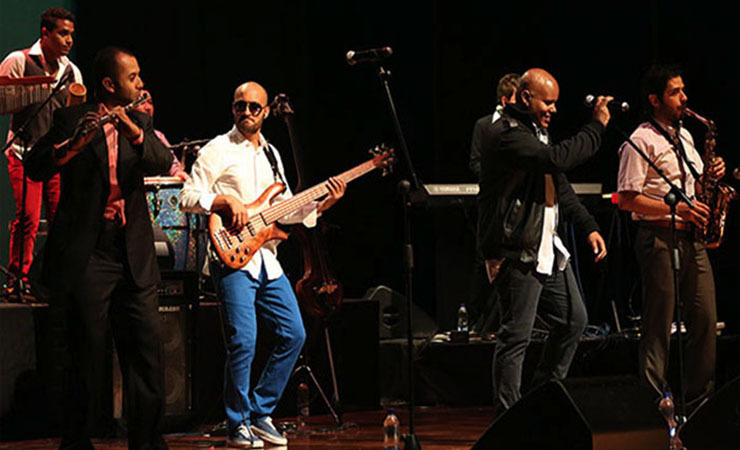 This band has great influences from the Cuban timba and Colombian Pacific music which have been established as the base to create a particular and powerful sound. Listening carefully to this project, La República is a box of surprises because each theme has unexpected musical lines, for example the song Aguacero starts as a typical timba but slowly and subtly introduces brass lines that sound very much like flamenco or in the piece Flight to Jordan the saxophonists and the trumpeter express their lines as if the score was written for a mambo theme. This song evidences the level of interpretation and improvisation that this band explores; it is perfectly syncopated with two instruments that keep up a tremendous sonority; they are the baby bass (played by José Juvinao) and the piano (played by Juancho Valencia). The baby bass and piano combined with a great rhythmical session, typical in Latin jazz, build the perfect framework that allows the brass section to enhance the catchy melody. What I love about this talented band is the possibility it gives us to dance with passion, to enjoy the richness of harmony, and, at the same time, to appreciate the virtuosity of each solo and the profound musical game Juancho Valencia and his musicians propose with their interpretation. I do not want to finish this review without mentioning the contribution of the band Herencia de Timbiquí on this album, a legend in the traditional music of the Colombian Pacific region. Invited to record the song Si tú me dices, Herencia de Timbiquí participated with voices and the interpretation of the marimba (traditional African instrument). Innovation, talent, passion and virtuosity are only a few words that describe the band La República and its new album. The elegant fiesta is about to start. Be ready for it! Tracks: 1. Somos los que hay, 2. Aguacero, 3. Fiesta elegante, 4. Si tú me dices, 5. Decídete, 6. Mundo loco, 7. Homenaje al Gran Combo de Puerto Rico, 8. Qué difícil es, 9. Flight to Jordan, 10. Son Havana. Personnel: Juancho Valencia: composer (except tracks 7 and 9), arrangements and piano; Jairo Andrade: vocals (2, 3, 6 and 7); José Juvinao: bass (1, 2, 3, 4, 5, 6, 8 and 10), baby bass (9); Javier Gustavo Quintero “El Loco”: baby bass (7); León Giraldo: vocals (7 and 8), flute and maracas: Juan Fernando Giraldo “Guapito”: alto and baritone saxophone, vocals (5): José Tobón: Tenor saxophone; Vladimir Hurtado: trombone; Maite Hontelé: trumpet; Juan Guillermo Aguilar “Cosito”: timbal and drums; Uberney Ovampo “Uber”: congas, bongo and bell; Pablo Dominguez “Tucuprá”: Guiro and percussion effects; Jesús David Garcés: guitar (1).